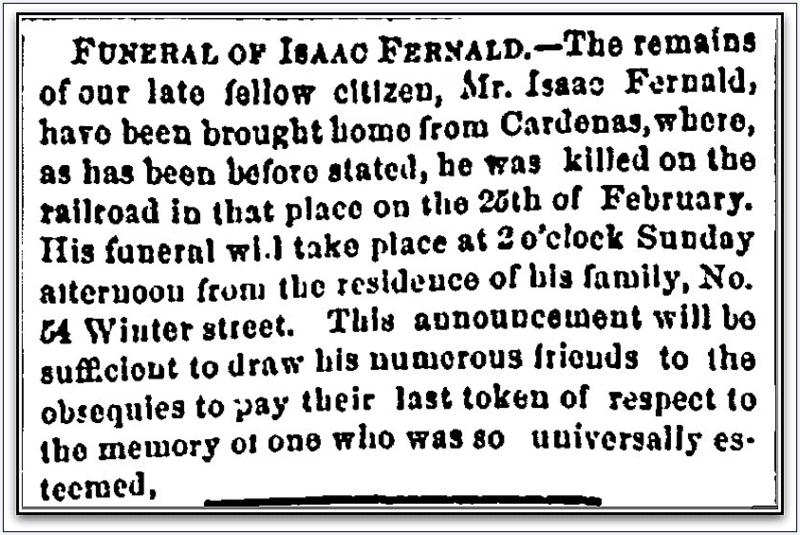 I recently was researching a man from Oregon named Isaac Fernald (1814-1871), and found information related to him in a variety of places online. I began my search with GenealogyBank’s Historical Newspaper Archives, and I found Fernald’s obituary in his home town newspaper: the Portland Daily Press. 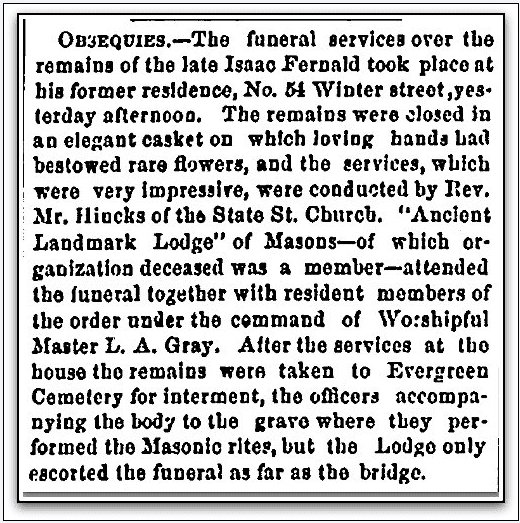 I noticed this interesting phrase – “as has been before stated” – in his obituary, which is a good clue to look for earlier newspaper references to his death that were likely printed between the date of death (25 February 1871) and the date of the obituary (1 April 1871). Digging deeper in GenealogyBank, I quickly found this reference to his accidental death in Cardenas, Cuba. In addition, I found this report of his funeral services. Each newspaper article reports more of the details. Why was he in Cuba? It turns out that he had traveled there on business before. 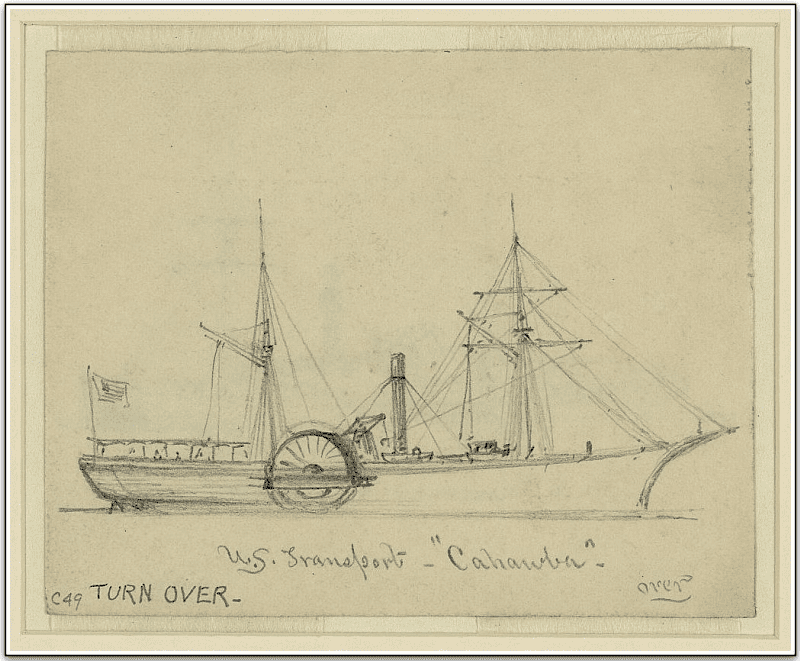 I also know that the Prints & Graphics Division of the Library of Congress has put their massive collection of ship photographs and images online. Checking there, I was able to find this sketch of the Cahawba that was drawn at about the same time that Isaac Fernald had traveled to Cuba. Illustration: U.S. transport Cahawba. Source: Library of Congress. Genealogy Tip: After you find your ancestor’s obituary, be sure to keep on digging. There are several types of historical records easily accessible online that contain relevant information about our ancestors. By making the extra research effort you will find additional details of the story of your ancestor’s life.